Falling drops at Vesturöræfi wilderness. Nothing is closer to a perfect experience as being alone in the wilderness, as far from any machines or human activity as you can. And when it is in cold or high altitude with no, or very quiet animal spices, your sense of organ, automatically starts to detect many things you may have never noticed before. This is one of the things that make field recording in quiet environment so exciting. When you ignore the noise in your head and start to use all your senses, you suddenly noticed another level of sonic world. 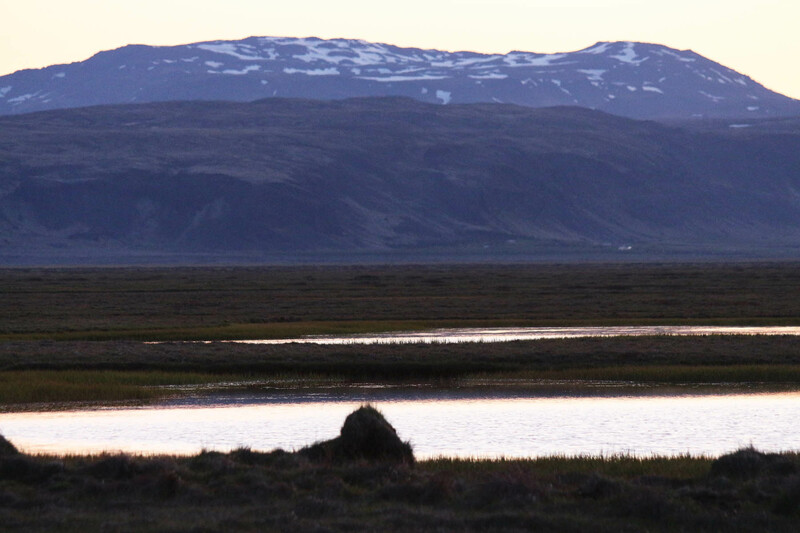 As a former touring cyclist I spent many weeks every year on the Icelandic highland. I was mostly alone so I got a great opportunity to listen deeply to this quiet soundscape. Most of this soundscape is just a sound of wind and water and sometimes birds, sheep and gnats in distance. 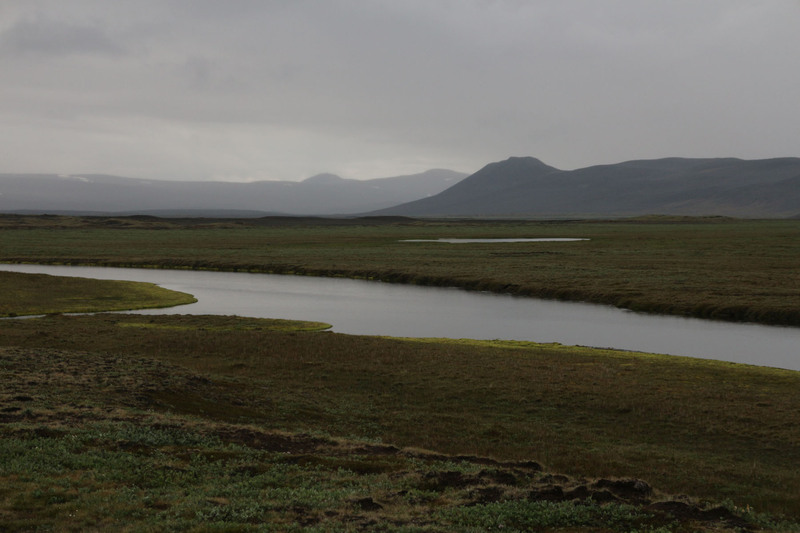 Following recording contains this typical Icelandic highland soundscape as I remember it. It is so quiet that even the best modern recording equipment can barely capture it and lot of people would not hear anything in such places. This recording sounds really nice in full quality, but as in mp3 format I am not sure if it interest online listener. Most PC soundcards and headphones do not have the sufficient quality to make it interesting. But anyway it is now online. This is, by the way, my favorite recording material. 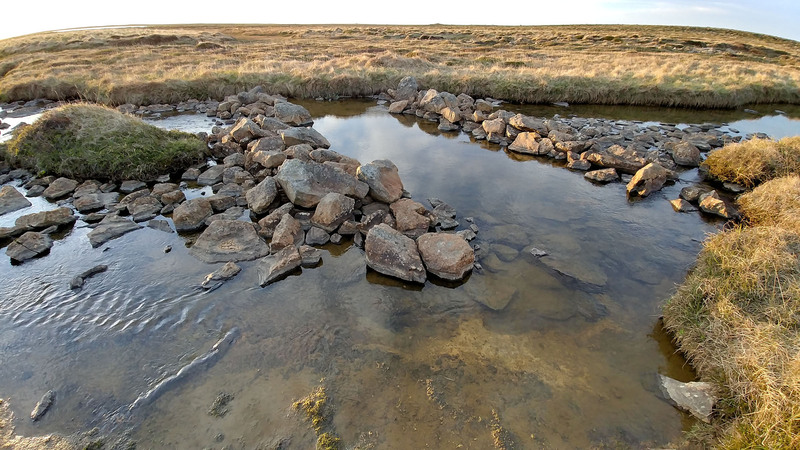 The recording was captured between 8 and 9 am 26th of June 2014 in Vesturöræfi moorland, a huge open landscape east of Iceland in 600-800m above sea level. It was “early spring” so there was still a huge of snow. 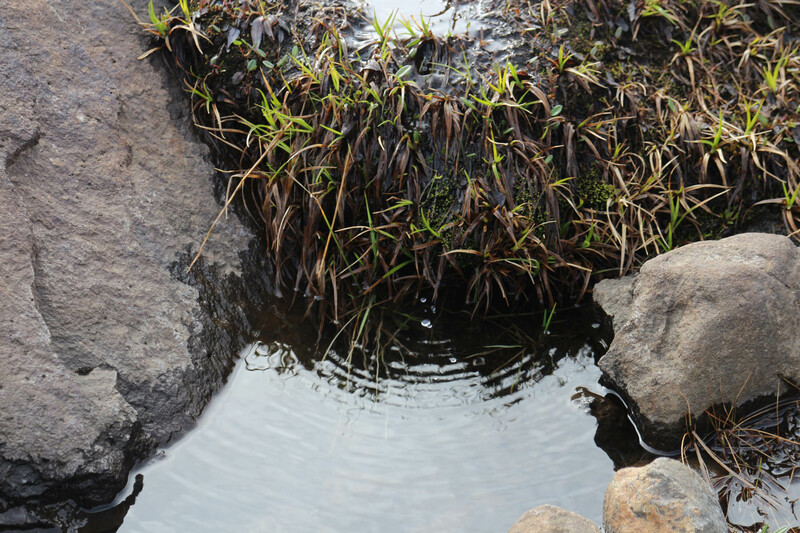 The beat, or ticking sound, is a drops falling of strew down about 1cm in a small puddle (the picture above). Some of the pink noise in the background is coming from the waves on the lake “Hálslón” (behind the microphones) and other flowing water in the area, so it is not only amplified noise or mic noise. Audible birds are mostly Dunlin and in distance Golden Plover, Whimbrel and Northern Wheatear. 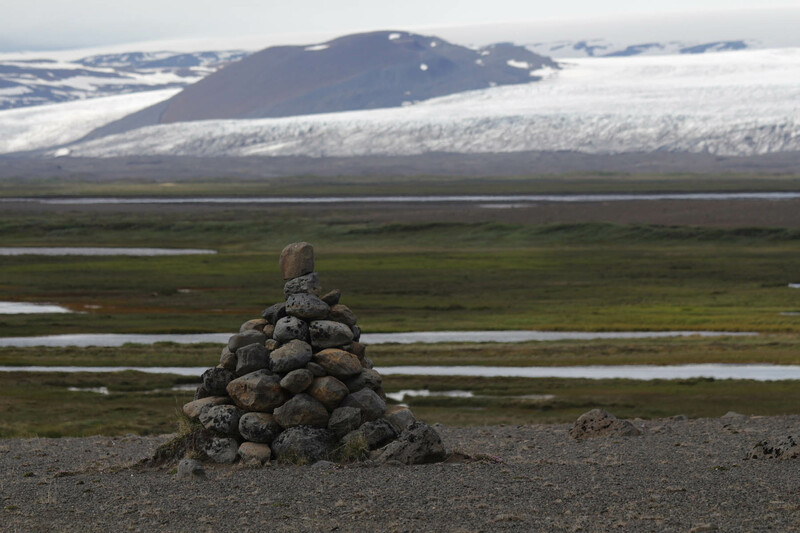 Thanks to the Friends of Vatnajokull who made this recording trip possible. Hér er á ferðinni upptaka frá Vesturöræfum vestan Snæfells. Þögnin var alger en þó mátti heyra í einstaka fugli. Það var tilvijun ein sem réði því að af þessari upptöku varð. Ég rölti um volteldissvæði nærri Klapparlæk rétt ofan við flóðlínu Hálslóns. Ég rak þá augun í vatnsdropa sem láku af strái í gríð og erg í lítinn poll þar sem þeir flutu og köstuðust til á vatnsfletinum í skamma stund. Við að leggjast á fjórar fætur þá mátti greina taktfast ,,tikk” hljóð sem ég hlóðritaði í um klukkutíma. Afraksturinn var að hluta til upptakan sem hér má heyra. Fuglin sem helst heyrist í er lóuþræll, en í bakgrunni má heyra í lóu, spóa og steindepli. Bakgrunnssuð er að hluta til frá öldugangi í Hálslóni og seitlandi leysingavatni í nágrenninu því enn var mikill snjór var á svæðinu þó kominn væri 26. júní. Ekki er víst að allir geti notið þessarar upptöku þar sem hún þarf helst að hljóma í fullum upptökugæðum og góðum tækjum. En hér þó á ferðinni það upptökuefni sem heillar mig mest, það er það sem flestir mundu kalla ,,þögn”.